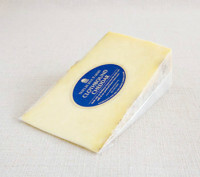 This traditional English process – binding curds in cheesecloth, sealing with lard, and cave-aging over a year – give you a cheese with a flakey texture, woodsy flavor, and long, brothy finish. A standout on any cheese plate. Pairs perfectly with English ale, pickles, and strong mustard. Our 1-year cheddar with a twist: it’s naturally dyed with annatto—derived from the seeds of the tropical achiote tree. This single batch was made last April Fools’ Day as our cheesemakers explored an old cheesemaking tradition. 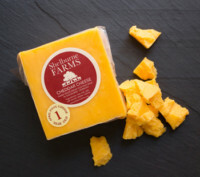 Our longest-aged cheddar endures rigorous testing and sensory evaluation, reaching a pinnacle of flavor that is distinct to our terroir (taste of place). Bright, fruity flavors with a slightly crumbly, crystalline texture. Enjoy with a ripe, full-bodied red wine like a Cabernet Sauvignon or Merlot. Farmhouse, Raw milk. 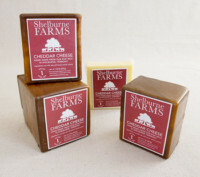 Brother Luke and the Monks of New Skete in nearby Cambridge, New York hickory smoke our young cheddar for six hours to give it a subtly sweet, bacon-like flavor. The ideal companion for a walk in the winter woods; delicious served with smoked meats and dried fruit. Farmhouse, Raw milk. 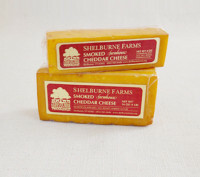 Our flagship, extra sharp cheddar will melt in your mouth. 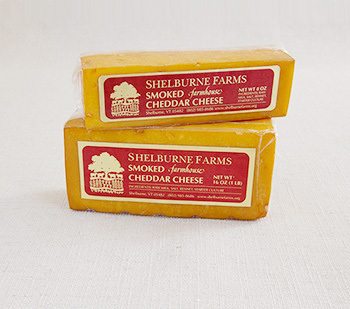 Maturing for two years yields a rich, creamy texture and savory flavors. 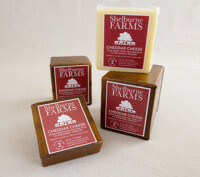 (Extra Sharp) Great with cider and beer, or with chocolate for a sweet and salty treat. Farmhouse, Raw milk. After a year of aging, our cheddar develops a subtle sharpness. 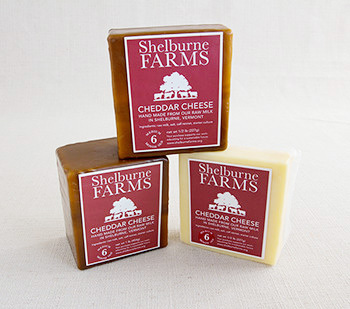 Tastes of lush pasture and freshly cut hay give way to a delightful finish redolent of caramelized onions. Pair with apples and honey or cured meats like our Certified Humane™ hams. Farmhouse, Raw Milk. 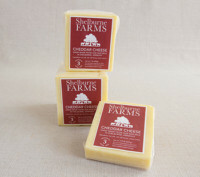 Our youngest, most versatile cheddar has a supple texture and delicate flavor … like fresh cream and buttered toast. 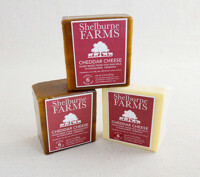 Perfect for breakfast with preserves or melted in your favorite dish.